As one of our most reputable and commonly accepted options, this makes it much easier for kitchen staff to take an extra step forward in their professional ambitions. KDS gives you full control of how your staff manages orders, having valuable time and money. It reduces your paper outlay, you will cut ink and paper expenses through managing everything digitally for a simpler, easier management system. The software design lets the user interact with it fastly which allows the chefs to have detailed information about the dish they are serving, the time of taking the order and the order type. The annotations are not annoying for the chef as it has been tested on a group of chefs in action. Sending different tickets for the chefs could be annoying and can integrate the chef sometimes. invo KDS will compile all tickets into one to save effort for the chef and save the time to serve all dishes at once. 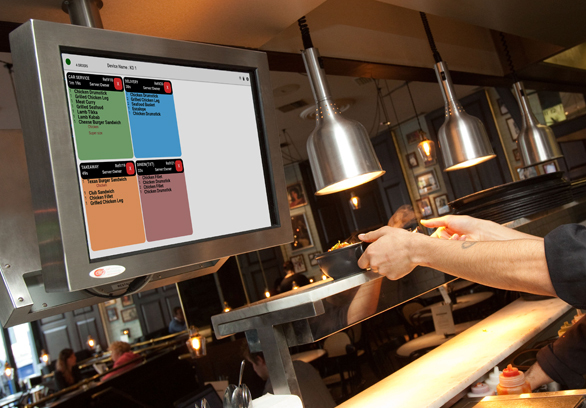 The waiters don’t need to enter the kitchen and ask the chef if the order is ready!, with invo KDS the chef can mark the ready orders and the waiters will receive it on their POS system. All restaurants’ operation’s team know how hard it is to set up Kitchen Display System for the restaurants, invo KDS does not require half the effort taken to install KDS! The simplicity of setting up invo KDS system is what made it a very sucessful product.